Indigenous Ngäbe-Bugle General Congress votes to invalidate latest deal with government to finish controversial Panamanian dam. No final agreement in sight. 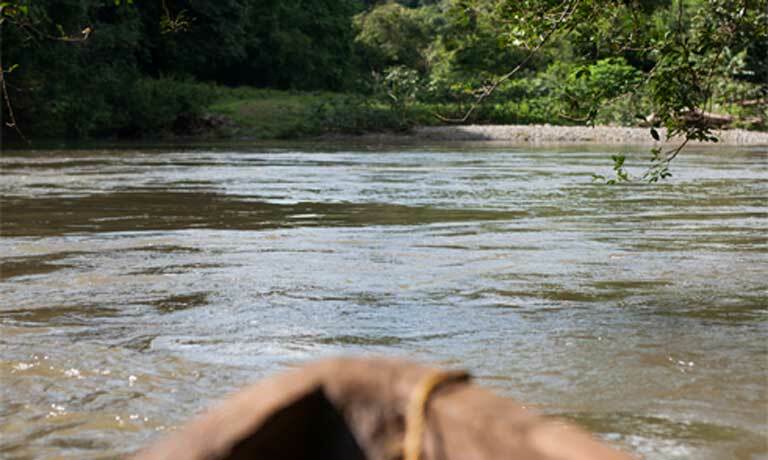 The fate of the contentious Barro Blanco dam in western Panama remains uncertain after the Ngäbe-Bugle General Congress voted down a month-old agreement reached between the country’s President and Silvia Carrera, the now-ousted leader of the indigenous group. Signed on August 22nd despite strong community opposition, the agreement had allowed the completion of the dam, but was rejected 76 to 67 on September 17th by members of the General Congress, the most important decision-making body of the Ngäbe-Bugle semi-autonomous region — known as a comarca. The General Congress, attended by 141 of the 300 indigenous delegates, came to their decision at the end of an extraordinary four-day session convened specifically to debate the hydroelectric project. Carrera, who did not attend the session, was ousted from her position by the Congress for allegedly exceeding her mandate as General Cacica, the elected figurehead for the group, and for failing to properly inform the authority of her negotiations with the government. 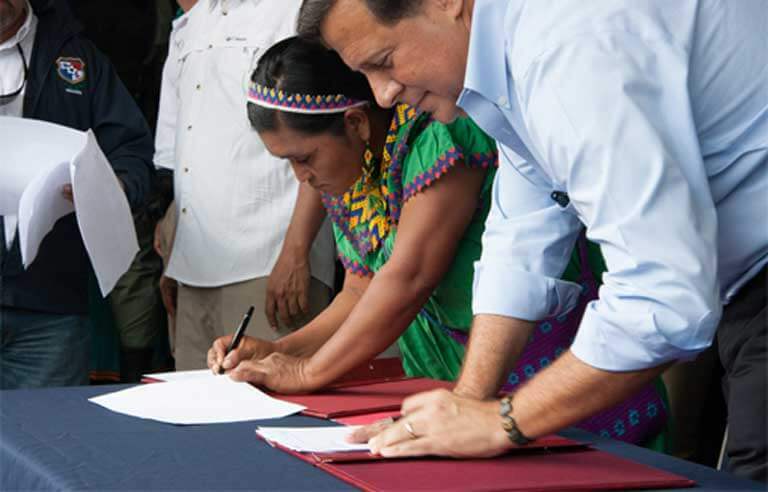 The now-rejected document had been hailed by Panama president Juan Carlos Varela as the “definitive agreement” that allowed the completion and operation of the 28-watt project, which has met continuous opposition from local Ngäbe communities since it was given the green light in 2007. According to Weny Bagama, a Ngäbe-Bugle General Congress delegate and a leader of the outspoken M10 (Movimiento 10 de Abril) group opposing the dam, the three caciques who initially signed the document never actually had the power to negotiate it in the first place. “Within the comarca’s legal framework the caciques are not authorized to sign any document with the government, or for a project; they are only figureheads of traditional authority who can coordinate, oversee, and inform, that’s all they can do,” Bagama, who is also from the dam-affected community of Kiad, told Mongabay. During the four-day session the Ngäbe-Bugle General Congress created a new commission comprised of three representatives from each of the main regions of the comarca — Kodri, Ño Kribo, and Nedrin. Bagama, who was appointed to the new commission, stressed that this new official body is not empowered to negotiate with the government, but rather for properly “analyzing” the Barro Blanco conflict. The Barro Blanco dam is located on Panama’s Tabasará River, three miles downstream of the Ngäbe-Bugle comarca. Its 258-hectare (1 square mile) reservoir is expected to directly impact 6 hectares (15 acres) of the most fertile land within three riverside Ngäbe communities, while also flooding six homes, an important gallery forest, and a religious petroglyph; it will indirectly impact the livelihoods of roughly 150 Ngäbe. The project has generated numerous protests, violent government repression, and attracted wide criticism from national and international NGOs because of the construction company’s failure to seek Free, Prior and Informed Consent from the local communities, a concept codified, but not made legally binding, by the 2007 United Nations Declaration on the Rights of Indigenous Peoples. 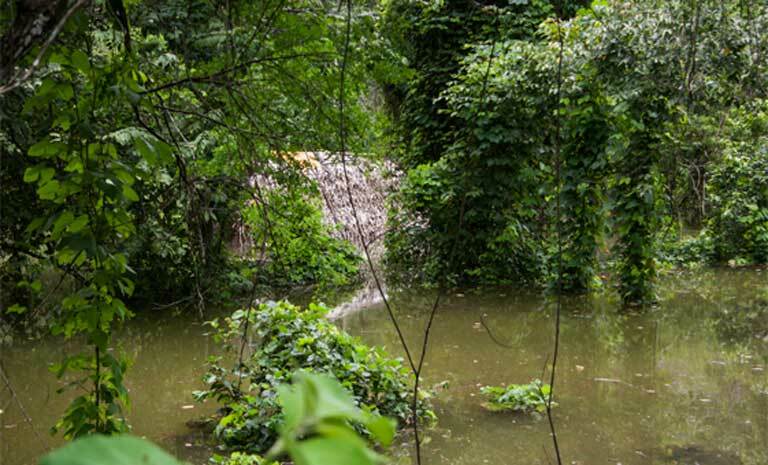 The dam’s rejection by the Ngäbe-Bugle General Congress has now forced the Panamanian government to return to the negotiating table and to map out a new route in hopes of reviving the stalled project, which is structurally complete. Finding a way forward will be challenging, considering the divisiveness characterized by the latest indigenous opposition vote, the ousting of Carrera, and the fact that a large number of General Congress delegates did not to participate in the September meeting. That dissension may further hinder the possibility of a final agreement any time soon. “Unfortunately the [Ngäbe-Bugle] community does not have a deep knowledge of the issue of Barro Blanco. Many in the community know there is a problem but they don’t know everything that has happened,” Bagama explained. Furthermore, she added, the Ngäbe-Bugle General Congress’ stance on the newly formed commission was not unanimous. “There are delegates that want to negotiate [with the government] … but if the Congress is going to negotiate, us as the affected communities are going to abstain,” Bagama noted, adding that the impacted communities have always called for the outright cancellation of the dam. The newly formed indigenous commission is meeting in October with the communities affected by the dam to collect first-hand accounts and historical documents covering the near decade-long opposition. It will then present its findings to the Ngäbe-Bugle General Congress, and propose the next steps to be taken with the government. Despite the rejection of the agreement, the government has continued test-flooding the dam’s reservoir, work that was officially restarted on August 23rd and continues to impact Ngäbe communities. “Around that [flooded] area, we have a number of crops, plantains mostly. All those trees that were producing fruit are now under water so we are left without food, and some people without homes,” said Bagama. According to Roberto Meana, General Administrator of Panama’s National Authority for Public Services (ASEP), the flooding, currently at 98 meters (321 feet) above sea level, is necessary to carry out vital structural and operational tests. 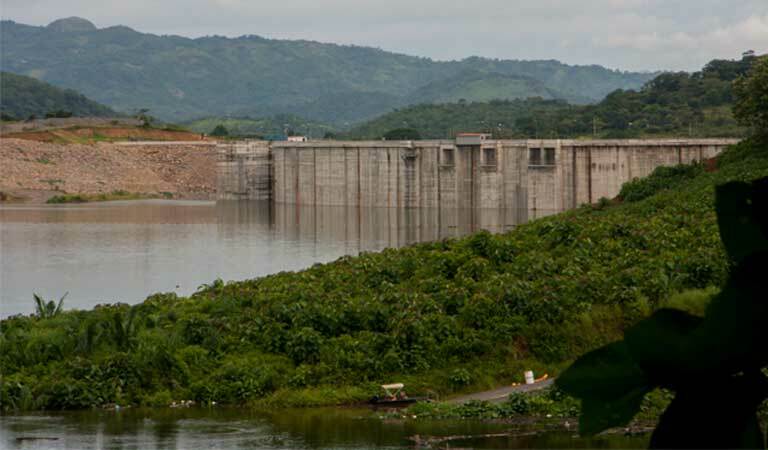 Barro Blanco, which was partly funded by two European development banks, as well as by the Central American Bank for Economic Integration, remains registered under the UN’s Clean Development Mechanism (CDM), meaning that the dam will help reduce carbon emissions — an environmental seal of approval that has only added to the ongoing controversy surrounding the project. This article was originally published at Mongabay. It has been re-published at IC under a Creative Commons License.